6.3 Eric Clapton: Crazy About "Layla"
Azerbaijani composers like Gara Garayev and Uzeyir Hajibeyov were not the only musicians to be inspired by the legend of "Leyli and Majnun." British rock guitarist Eric Clapton was so moved by the legend that he used it to write one of rock music's most beautiful love songs, "Layla." Here's the story behind the song as told in "Clapton!" a biography about Eric Clapton written by Ray Coleman and published by Warner Books in New York (1985). In 1969, Clapton fell in love with Pattie Boyd, the wife of one of his best friends, Beatles' George Harrison. At about the same time, one of Clapton's friends gave him a copy of "The Story of Leyla and Majnun" as written by Azerbaijani poet Nizami. The book moved Clapton profoundly as it was the tale of a young man who fell hopelessly in love with a beautiful, unavailable woman and who went crazy because he couldn't marry her. Clapton saw the correlation with his own life. With the help of percussionist Jim Gordon, Clapton wrote a song based on his reaction to the story and called it "Layla." He hoped its message would convince Boyd to leave her husband for him. "Layla" was first recorded in 1970 by Derek & the Dominoes, Clapton's band at the time and was featured on the album "Layla and Other Assorted Love Songs." Another title on the album "I Am Yours" was also inspired by the same 12th century epic poem by Nizami. When the album came out, Clapton played the music for Boyd, gave her a copy of the book, and declared his love for her. They had a brief affair but she broke it off and refused to leave her husband. But due to Clapton's persistence, he eventually did succeed in marrying her several years later. The marriage ended unhappily in divorce in 1988. 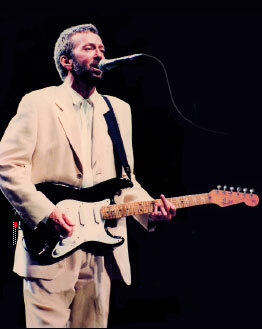 Even though the romance didn't last, Eric Clapton's song "Layla" has maintained its popularity and is considered by some to be one of rock music's definitive love songs. Based on Nizami's 12th century epic poem, "Leyli and Majnun"